Geekdom has thrust one fictional robotics company led by a rogue A.I. with an extremely soothing voice upon a pedestal. Geekdom also loves when their charming, scatterbrained Time Lord fights a rogue alien species encased inside a garbage can robot with a plunger arm that has the most annoying voice of all time, ever, out of anything. 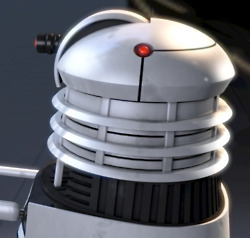 It was a only a matter of time before the two things combined, and now we have this rendering of an Aperture Science Dalek. 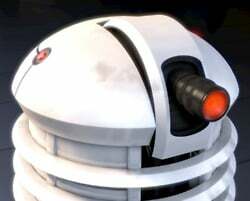 Cake, and EXTERMINATION, will be available at the conclusion of this post.